Get ready to experience the ultimate in authentic inline stroller performance and adaptability for 1 or 2 children - take your personal style to the next level with the chic aluminum design of the all new Verve! •This four wheeled stroller provides enhanced stability that will keep your mind at ease while out walking the dog or strolling through the park. •Dual front wheel suspension & 12" air filled rear wheels give baby the smoothest, most luxurious ride possible. •Verves second seat becomes a parent facing seat by simply changing the buggy into lie flat mode and securing the top of the seat to the handle, making it easy to be intimate on the move. •The newly enlarged seat now fits children up to 41", or 6 years old. •An on handle brake makes for peace of mind and safe travels when you need to slow down, stop & remain stopped. Simple to engage, fast and safe. •By simply pressing a lever, Verve will fold to literally half of its size all with the double kit still attached. •Take 2 newborns or 2 toddlers or everything in between with 23 riding options. Go anywhere with one baby knowing they can sit, lie or sleep or have another riding in the second seat or scooting along behind in the freerider. •Light handling curb pop enables you to easily push the stroller up tricky curbs and stairs. It has never been easier to navigate an urban landscape. •Verve now fits 2 carseats making travelling with twins no problem. •Know that baby has a seat more comfortable than your favourite living room chair - because they're worth it! Plush, patterned lycra seats give Verve luxurious comfort and feel with the super soft lycra seat liner making baby snug as a bug in a rug while you're out & about •Garner the attention that you deserve with Verves aluminum styling. 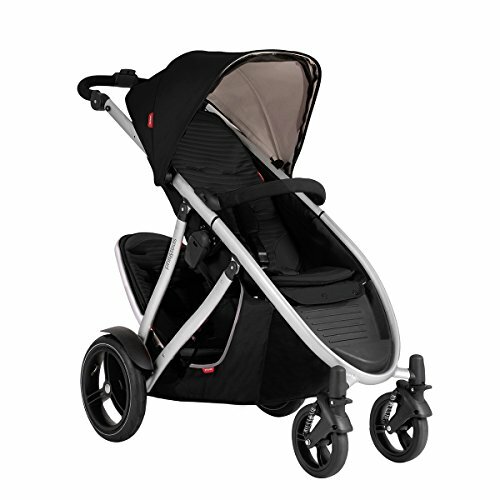 This eye catching stroller has an elegant design and sleek curves that will get you noticed!